/ Modified mar 18, 2016 4:41 p.m.
Reporter Mariana Dale and Sophia Paliza-Carre explore political polarization– at a car show! Reporter Mariana Dale and Sophia Paliza-Carre take to the streets of Tucson to ask you to tell us, dímelo - what inspires you to vote? Or what doesn’t? 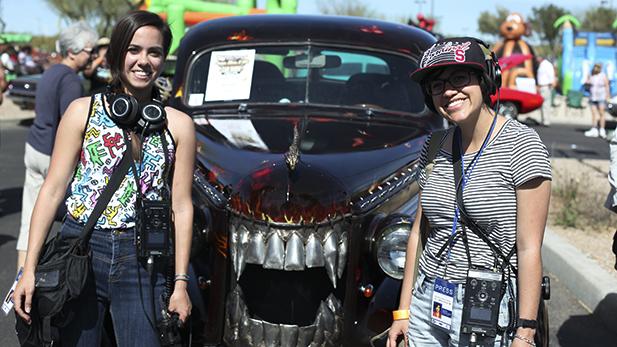 We got a small sample, gathered at car shows and at the Tanque Verde swap meet. 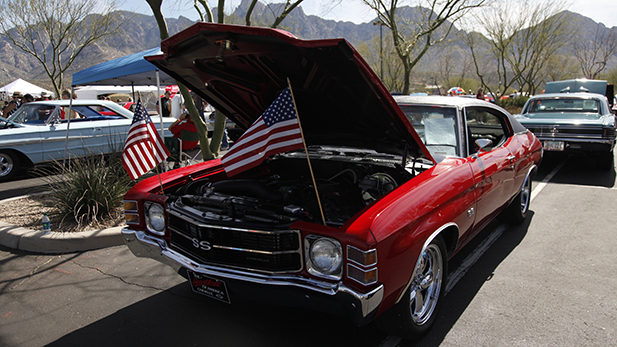 The Cruise, BBQ and Blues Car Show in Oro Valley on Feb. 20, 2016. We heard from people excited about the prospect of voting, each and every time. We heard people express the issues most important to them. We heard from people in various stages of apathy. Finally, we heard from people who were overall concerned with politics in general. 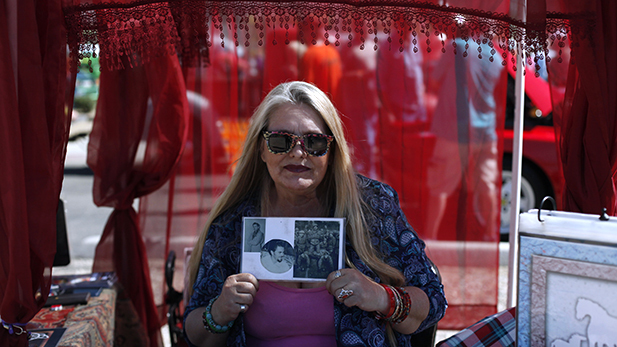 Lisa Cameron holds a photo of her Dad, a veteran, who instilled the importance of voting.